Leah Still, the 5-year-old daughter of NFL defensive end Devon Still, will be discharged from the hospital Tuesday after completing her final cancer treatment. Her pops tweeted the good news on Monday, saying, “She really beat cancer! Leah was diagnosed with Stage-4 neuroblastoma in June 2014. With a 50-50 chance of survival, Leah was being treated at Children’s Hospital of Philadelphia. 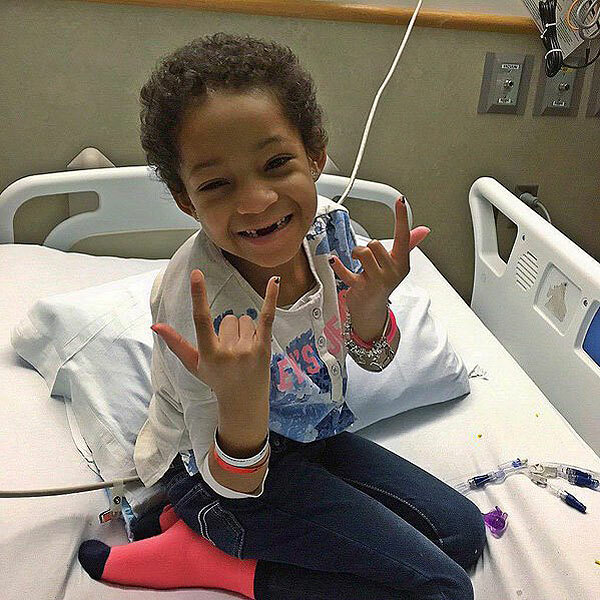 The former Cincinnati Bengals and current Houston Texans player has been documenting his daughter’s journey on social media using the hashtag #LeahStrong. Still also shared the number of hours and days Leah spent battling cancer. “41 days of chemotherapy, 40 days of antibody therapy, 19 days of radiation, 7 hours surgery and 1 win!” a photo he shared on Twitter stated.